A bright and beautiful smile is something that is considered to be important to many people. According to United Press International, a beautiful smile is important for young people when it comes to making new friends. It can make all the difference in regard to a person’s first impression of you, and first impressions go a long way when it comes to making friends. Not everybody is fortunate to have a beautiful smile, though, and many are reluctant to smile at all. For a lot of people, a straight and neat set of teeth is something that can only be achieved with a series of corrective procedures. Because young people are still growing, there is an opportunity to help ensure that their teeth grow to be as straight and beautiful as possible. By applying slight pressure on the teeth as they grow, we are able to guide them to be straight and aligned as they grow. As effective as this can be, though, it is a medium to long-term solution that has drawbacks in the short term. These drawbacks include unsightly and uncomfortable braces that will make people reluctant to smile at all. The good news, though, is that there is now a solution that is more comfortable, and also almost invisible. 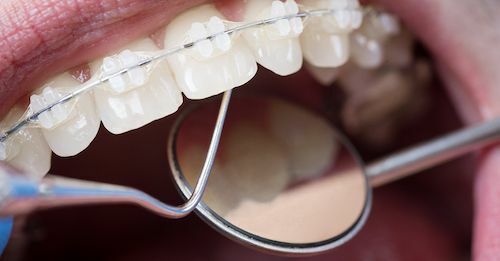 Traditional braces use metal wires and brackets to apply pressure to the teeth to try and guide their growth. While this can be effective, a mouthful of metal is something that not a lot of people are exactly keen on. Not only can it be uncomfortable, but it can also be highly visible, and something that a lot of people would rather not show. This means keeping their mouth closed to hide the braces which, in turn, means not smiling. 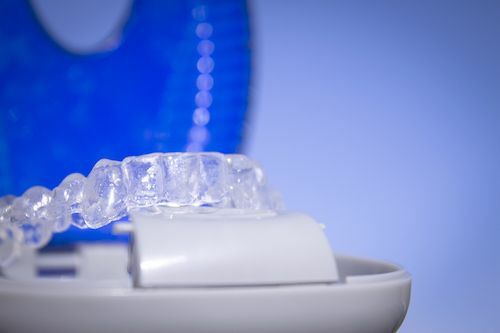 Invisalign aligners, however, are made with a transparent material that fits discreetly in the mouth. While traditional braces can be very unsightly, people may not know that you are wearing Invisalign aligners at all. 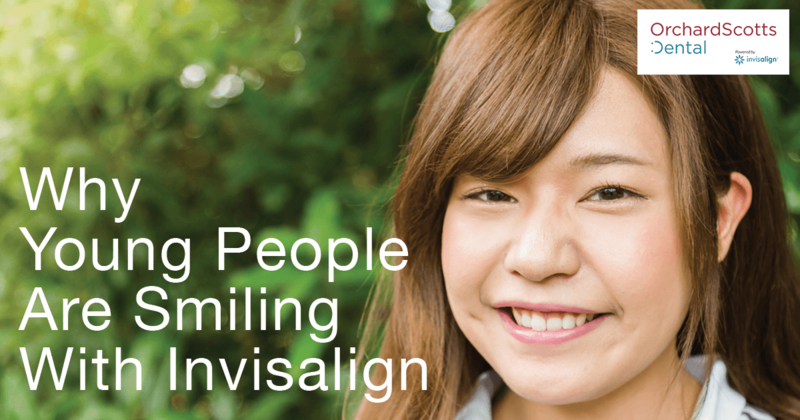 Young people using Invisalign aligners in Singapore can almost forget themselves that they are wearing them. This helps them to smile with confidence, which in turn can help them to make that all-important new impression when it comes to meeting new people. Traditional braces can also be quite uncomfortable to wear at times. The pressure placed on the teeth can be enough to cause pain in the teeth and gums as they are pushed into position. Sometimes, this might even mean a return to the dentist to have the braces adjusted to relieve the pain. Invisalign aligners, however, are made from a flexible material that is far gentler, while still guiding the teeth into position as needed. This means maximum effect without the pain, and fewer return trips to the dentist in Singapore. A mouthful of metal with edges will obviously have the potential for rubbing against the soft tissues of the mouth. This can lead to cuts and sores, potentially leading to considerable pain. Invisalign aligners, however, are made from a soft, smooth material that poses no potential issues with harming the soft tissues of the mouth. The aligners are also precision cut to ensure that they don’t come into contact with the gums, ensuring that no pain is caused. This relatively pain-free treatment helps the wearer to forget the aligners are even there at all. With traditional braces, it is necessary to return to the aesthetic dental clinic every 3-4 weeks to have them adjusted. This means time off school, college or work, making it very inconvenient. While there is still a need for dentist appointments with the Invisalign system, they are less frequent. 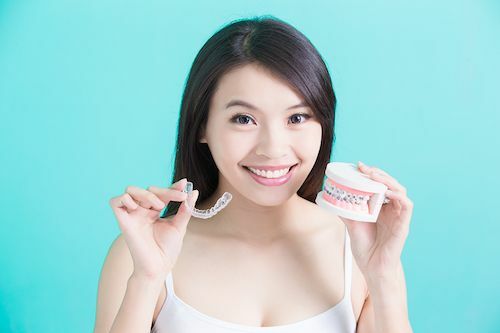 An appointment with the Invisalign system should only be needed every 6-8 weeks, with little to no need for additional appointments to fix ill-fitting or painful braces. Invisalign braces also come with an easy carrying case that you can bring along to work or play! The wires and brackets of traditional braces are fixed into place permanently, at least until it is time to have them adjusted or removed. This means that the brackets are always there, even when it is time to brush the teeth. With the brackets in the way, brushing and flossing effectively becomes considerably more difficult. This means that it is harder to remove tartar and other debris, leading to a decline in oral hygiene. With the Invisalign system, however, you can simply remove the aligners whenever you need to. This means it is no longer difficult to brush, so your oral hygiene does not have to suffer. What’s more is that the aligners can also be removed at meal times. This makes it easier to eat and prevents food from getting trapped. As well as improving hygiene, you can also be confident of a clear smile with no food caught up in your braces. In order to make traditional braces, it is necessary to first make a mould of the teeth. This means asking the patient to bite down into plaster to create an impression. A mould of the teeth is then created from this impression. This can be quite an unpleasant experience for the patient, while it can also take time for the mould to be completed. Once the mould has arrived, it is then necessary to create the braces accordingly. The Invisalign system, however, adopts a high tech digital scanning system called iTero that gets a complete 3D picture of the teeth in a fraction of the time. 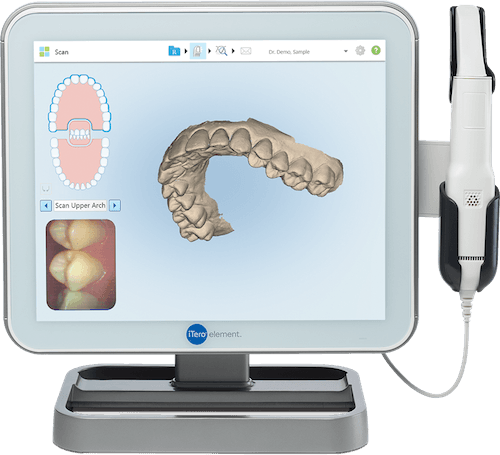 Computer software is then used to help create a digital roadmap from which they can create aligners that are made specifically for you. Many young people, and adults, are reluctant to wear braces for a number of reasons. Being self-conscious of an unattractive smile is one of the main reasons, but Invisalign helps to overcome that problem. With a smile makeover that is unhindered from metal or dirty teeth, you are free to smile with confidence whenever you feel like it. This is great news for young people that might otherwise be concerned about how braced might change their appearance when they are worn.